Learn crochet and make new friends. 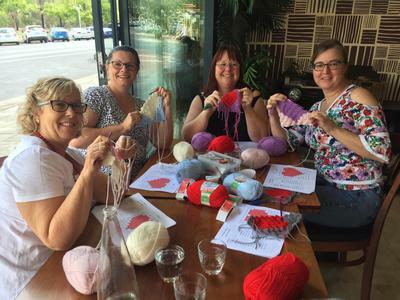 The Sydney Crochet Club organises crochet classes run by Professional Crochet Instructors for beginners, all the way up to experienced crocheters. Locations: Darling Harbour and Parramatta. 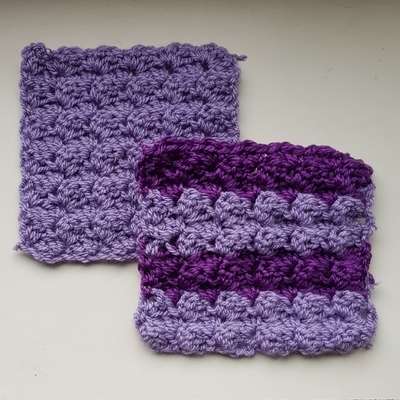 Everyone with an interest in crochet (whether you have been to an event or not) are also welcome to join our Facebook Group where you can share your crochet projects, find inspiration, make friends, and also just have a good yarn. Sophie was fantastic, it was a thoroughly enjoying day and I learnt so much. It was great to also have some niggling questions about crochet answered so that I can start pulling together some of my projects and stitches at home. We were having so Much fun we completely lost track of time. Great. I learned a lot. Sharm is an excellent instructor. I liked the class and learned what I came for: how to read a C2C pattern, how to change colours and how to decrease. I absolutely loved it. I've taught myself most of the basics online so to get the opportunity to crochet with others and discuss projects was really great. My classie host was Sophie and she was amazing. She explained everything clearly. She also moved around the class insuring everyone got any help they required. She clearly has a strong passion for crochet which is totally contagious. Thank you! There where a couple of basic things I wasn't doing right, how I joined into the last chain and checking for hidden stitches, which I learnt on the day. And it was really great to have the chance to ask someone and trouble shoot any issues I was having. Sophie is an excellent teacher. It was a great morning learning C2C. Sophie is a great teacher. Great company. It challenged the brain, lots of laughs and the time flew! Thanks Sophie for sharing your expertise! Sophie was fabulous, very patient, full of great suggestions for ladies who wanted ideas to finish of projects. Sharn was lovely. Kept the class running smoothly. Certainly delivered. With some practice at home I now feel confident in basic crochet skills. Sophie was very helpful with any and all questions. Great workshop. I now know two methods of doing popcorn stitch. Good company. Sharn is a knowledgable teacher and very friendly. I enjoyed the event and left feeling I had the confidence to tackle a crochet project. Sophie was an experienced, passionate and patient teacher. She had no problem dealing with students of different skill levels. I will be back. The Beginners Class yesterday with Sophie was excellent! Just the right balance of gentle verbal instructions and hands-on demonstration. She was very patient and encouraging. Everyone was so engrossed, we could happily have gone for another 3 more hours! Definitely recommended. One on One tuition - and Sophie was so helpful and patient! Perfect. Just what I wanted - I was able to come away with enough information and practice to be continue making granny squares. What a great morning, great company and the tutor Sophie was just amazing! Sophie was so welcoming, so supportive and a wealth of knowledge. Looking forward to going back! Thanks Sophie and thank you everyone for your company. I loved my first workshop and will be back for more. It was a great experience. The instructor, Sharne made us feel very welcome and had an incredible amount of patience. It was informative yet relaxed at the same time. Loved it and so glad I had the experience. Thankyou! It was great. Sophie our instructor was so patient & helpful. It was a very calming happy atmosphere to do a beginners lesson. Thank you again. I think the trainer was enthusiastic and exceptional and patient. It was a great lesson. Lots of 1 on 1 help. Sophie could not have been a better teacher. Very patient and helpful. This was my 2nd class and will be doing more as I am eager to learn many more styles. The class was excellent and Sophie was a great teacher. The class was too big though with some real beginners that needed that had not done it before. I loved it, there were varying skills levels within the group, and all skill sets were catered to. I thought that Sophie the facilitator was very patient and great in teaching those who were beginners the steps necessary to begin crocheting.